2016 EU issue on 180g 2xLP= with their 13th album, 2016's Toy, they've reminded us that they're still making smart, well-crafted, and politely subversive electronic pop more than three decades after their biggest hit. 2005 Remastered and expanded version of this 1980 LP. 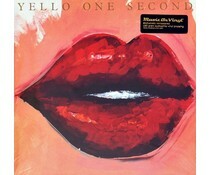 Part 1 of the "Yello Remaster Series".